Missouri has over 10,900 eating and drinking establishments around the state. The restaurant industry is a $10.2 billion industry for Missouri and educated, professional culinary school graduates are in demand. About 295,600 jobs now exist in the industry with another 28,800 expected by 2026. Now is the time to pursue your culinary degree or credential so you don’t get passed over for the next exciting promotion or a dream job at a top rated restaurant. 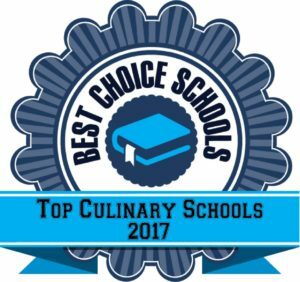 We developed a list of the top 10 best culinary schools in Missouri. Schools included for our list offer hands-on instruction, professional development opportunities, experienced faculty, and a positive reputation in the field. Many of the schools in our list are even accredited by the American Culinary Federation, an indicator of high educational standards and quality programming. The Culinary Academy at Columbia Area Career Center is a top culinary program for students who want to pursue a career in either commercial or non-commercial food service. The Culinary Academy features the latest in kitchen equipment and technology so students gain hands-on experience throughout the program. Students complete 300 clock hours of classroom training and then complete a 100 clock hour internship experience. Graduates of the program earn their Culinary Academy Certificate as well as the Food Handler’s Sanitation Certificate. Students are also able to earn their ServSafe Food Managers Certification once they have passed the exam. Northland Career Center in Platte City is accredited by the American Culinary Federation to offer a Culinary Arts program. High school students can attend class for just three hours a day and complete the program in about two years. Adults can attend class for six hours a day and can finish in about a year. Students have the opportunity to learn in a commercially equipped kitchen as they prepare daily breakfast, lunch, and special occasion meals. Courses emphasize leadership and organization skills to help students be successful team members. Culinary skills such as knife skills, cooking methods, and nutrition are also taught as part of the curriculum. The Nevada Regional Technical Center features a culinary program designed for students interested in a career in the culinary arts or hospitality industry. Students complete a variety of coursework that covers areas such as desserts, world cuisine, meat and novelty meat, cost planning, and menu development. The student run café, Service Edge Café, gives students the opportunity to develop their culinary skills in a professional setting. Professional development opportunities are encouraged to create leadership skills. As part of the program, students will earn their ProStart Certification through the National Restaurant Association. L’Ecole is an accredited culinary school offering an AOS degree in Culinary and Restaurant Management as well as a diploma in Culinary Fundamentals. The associate degree program is a 70 week program that incorporates culinary management theory, kitchen training, and general education courses. Culinary coursework covers areas such as culinary math, menu development, dry cooking methods, and nutrition. The diploma program can be completed in just 10 months, allowing students to learn the fundamentals and join the workforce with the skills necessary to be successful. L’Ecole students also run the Presentation Room Restaurant, serving lunch and dinner to the public. The Presentation Room Restaurant also offers a catering service run by students. The Culinary Institute of St. Louis at Hickey College offers both a Specialized Associate Degree in Culinary Arts and a Culinary Arts Diploma. Students spend about three hours per day in the kitchen working with experienced instructors. The Associate Degree Program can be completed in just 18 months with coursework covering classical cuisine, wines and beverages, meat and poultry, and commercial kitchen skills. Students also complete an externship as part of the program. The Diploma Program is a 12 month program that includes many of the same courses and features the same amount of kitchen time. The College of the Ozarks is a top culinary school offering a Bachelor’s degree in Culinary Arts. Students learn a variety of culinary techniques from beginning techniques through more advanced studies. The College of the Ozarks has two dining facilities including Dobyn’s and Pearl Rogers Dining Center. Students have the opportunity to prepare and serve meals to the public to gain professional experience. The College of the Ozarks is also home to The Keeter Center, a student operated restaurant, gift shop, bakery, and lodge. Ozark Technical Community College offers AAS degree programs in Baking and Pastry as well as Culinary Arts. Students can complete their AAS degree in just two years and the Certificate program in just one year. Hands-on instruction is provided by industry professionals. Courses cover dining room management, menu design, sanitation, and purchasing. Elective coursework is offered in areas such as world cuisine and bar and beverage management. Baking and Pastry students can take courses in plated dessert presentation, cake decorating, and euro pastry. The student operated restaurant, Scallions, provides students with the opportunity to gain professional cooking and serving skills in a real work environment. Lunch is served from 11a.m. to 1p.m. on Thursdays during the fall and spring when school is in session. East Central College is a top culinary school featuring three different culinary credentials. Students have the opportunity to earn the 30 credit hour Career Certificate, the 45 credit hour Technical Certificate, or their AAS Degree in Culinary Arts. Students receive training in a commercial kitchen with state-of-the-art equipment. Coursework focuses on both American and international cuisine, baking, and pastry making. Students learn culinary methods and techniques, as well as the science behind their cooking. Students at St. Louis Community College have the opportunity to earn either an AAS in Baking and Pastry Arts or an AAS in the Culinary Arts. Both of these programs have been awarded exemplary status by the American Culinary Federation, indicating high educational standards. Baking and Pastry Arts students complete 28 credits specifically related to their specialty including ice cream and frozen desserts, chocolate and pralines, showpieces, and cake production. Culinary students program of study includes both American and international cuisine, food preparation, and garde manger. Students in both programs have the opportunity to participate in the Forest Park Cuisine Club, a culinary competition club that competes around the country. The University of Missouri is home to a cutting edge Bachelor of Science in Hospitality Management program with state-of-the-art facilities, an excellent job placement rate, and individualized attention. The program provides students with the skills and ability to manage a large scale resort, prepare meals, run a catering business, operate a dinner theater, plan events, or work behind the scenes in sales, marketing, or finance. Students complete a capstone course in which they develop a business plan for a hotel or restaurant they might build in the city. Areas of emphasis are available in Conference and Event Management, Food and Beverage Management, Lodging Management, or Sport Venue Management. Students choosing the Food and Beverage Management concentration have the opportunity to work at The Café at Eckles, preparing and serving lunch each Monday and Wednesday during the fall semester.